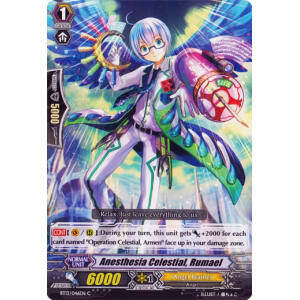 [CONT](VC/RC):During your turn, this unit gets [Power] +2000 for each card named "Operation Celestial, Armen" face up in your damage zone. Relax. Just leave everything to us.